By 2025, over 2 million manufacturing jobs will go unfilled due to the looming skills gap created from the 2.7 million baby boomers retiring and the 1/3 of American families encouraging their children not to pursue a career in manufacturing.1,2 Today, millennials make up approximately 34% of the workforce and will grow to 75% by 2025.3,9 With the impending skills gap, overcoming old stereotypes of manufacturing being filled with greasy machines and dirty jeans, and research showing that 44% of millennials are planning on departing their current jobs within the next two years,10 the pipeline for talent is bleak at best. This leaves many employers to wonder, how do we retain and develop the talent we have today? DOES YOUR MILLENNIAL TALENT HAVE ONE FOOT OUT THE DOOR FROM DAY ONE? The first question to understand are the reasons driving millennials to depart their current roles at such an alarming rate and understanding the new cultural norm of “job hopping.” Job hopping is defined as a 2 year period in one job, with 93% of workers leaving their current employers and only 7% taking new positions within their company.5 Research has shown that the lack of clear goals, real time feedback, and collaborative goal setting has directly contributed to a culture bolstering a 71% non-engaged/disengagement rate among millennials5 (over twice the average of other generations7) and promoted a culture of job hopping. According to a study completed by SuccessFactors, partnered with Oxford Economics, millennials want feedback 50% more often than previous generations and, according to the 1400 millennials surveyed, only 46% agreed that their managers met their expectations for creating goals and delivered helpful feedback.6 An additional survey completed by Gallup for over 200,000 employees has also shown that only 30% of millennials feel that their managers involved them in setting their annual goals. These statistics, coupled with studies that show that millennials engaged with weekly feedback with a manager are 3.5 times more likely to be engaged,7 leave little debate over why millennials have one foot out the door. Progressive employers will recognize this changing landscape and adjust the frequency of feedback accordingly; however, frequency alone will not stop the mass exodus from an organization as millennials are not only looking for more frequent feedback, but quality feedback. Just as a child eventually grows up and challenges the phrase “because I said so,” millennials are challenging not only the frequency of feedback and reviews, but the measurable content. Millennials are pushing back on subjective, one sided feedback often provided by a direct supervisor and are asking to be involved in setting SMART goals for the year (Specific, Measurable, Achievable, Realistic, and Timely).8 In fact, although only 30% of millennials agree that their managers directly involve them in goal setting, these employees are 3.6 times more likely than other employees to be engaged7. Companies looking to increase the engagement rate for millennials, thus decreasing the turnover rates, will need to provide new tools that support millennials in their quest for understanding the “bigger picture” by providing transparency into their daily activities and providing measurable ways to create targets, measure results, and align with company goals. A should costing tool can assist in defining and setting realistic goals, providing clear, objective, and real time feedback; and promoting a culture of empowerment and sustainability thus increasing the engagement level of millennial employees and decreasing turnover rates. 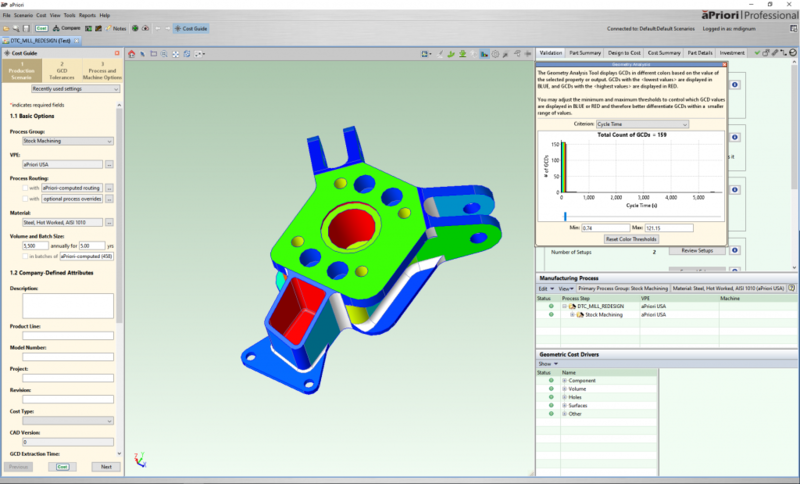 aPriori is one such tool and relies on geometry extraction to identify routings to generate the lowest cost production method and evaluate the manufacturability of all routings defined in a virtual production environment. 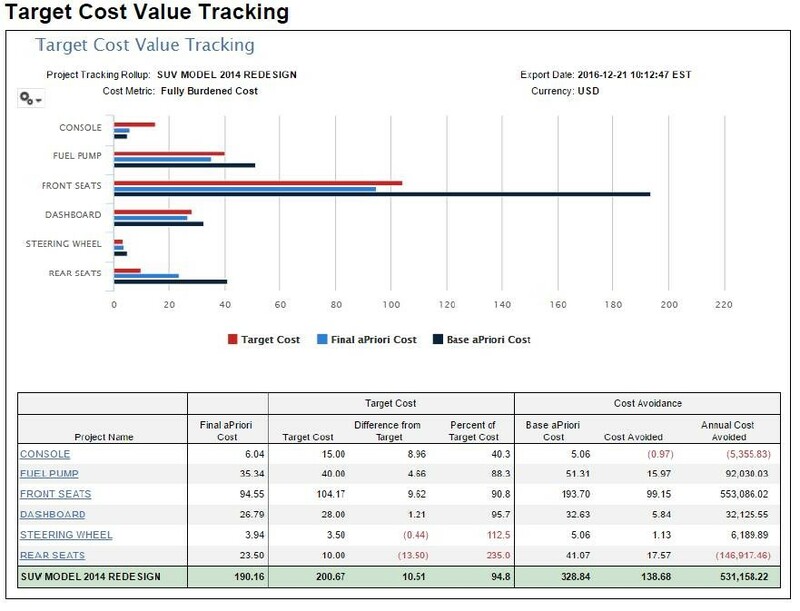 This allows engineering, manufacturing and purchasing professionals to understand cost drivers, explore cost saving production alternatives, and test feasibility, and allows program professionals to understand the total cost of designs before entering the bid cycle. Best of all, aPriori provides users with real time feedback. Let’s look at the example of Devan, an inexperienced design engineer. Company X is Devan’s first job out of college and he has been tasked to complete the design for a low complexity, high volume assembly. The project manager has set cost targets, however Devan has no tools available to track cost. He has been very active in engaging engineers with 20+ years of experience for feedback and guidance throughout the design process but still feels very frustrated that he is tracking cost based on similar assemblies that have been in production for over 15 years. Devan is also frustrated with Supply Chain because they will not assist him in obtaining a supplier quote until he has a finalized 3D CAD model, which will be unavailable for several months. They will not utilize the preliminary designs that Devan currently has available. Devan has been working on these designs for 4 months now, and throughout his reviews with the project team, has become very concerned that many decisions are being made based on ambiguous data. He has been unwilling to share these concerns with his direct manager as this is the process that has always been in place and is also the ambiguous process in which the cost targets for the project were determined in the first place. When Devan finally completes the 3D CAD model, he sends it over to Supply Chain to obtain quotes from suppliers. Two month later, after multiple feedback sessions directly with the suppliers due to feasibility concerns, and exactly 9 months after starting the initial project, the quotes come in $10 over target. As the company is producing over 100k units per year, this results in a loss of $1M for the company. Devan is embarrassed, frustrated, and, due to the lack of tools available, cannot see a path forward to prevent this same issue from occurring in the future. Devan starts to disengage from the team and quietly look for a new role while, in parallel, he is tasked with designing cost out of the product that was put into production, at $10 over target. Devan’s story is one that many millennials relate to. 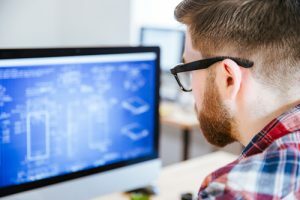 It highlights the need for tools, such as a should costing solution, to close the gap on transparency and provide employees the information they require to set targets, execute tasks, and measure success throughout the design process, not only when a finalized 3D CAD model is available. aPriori is an example of a should costing solution that allows for this transparency and real time feedback. Design engineers are able to take advantage of aPriori’s design to cost functionality which allows for new design engineers to take on a level of autonomy. Feasibility rules and heat maps (figure 1 below) allows for users to obtain real time feedback on the cost and feasibility of their design throughout the design process, decreasing the number of design iterations that need to be reviewed by managers, and increasing throughput. In addition, assembly and project rollups allow for easy cost reporting (figure 2 below) at different stages through the design cycle preventing unpleasant cost surprises at the conclusion of projects. aPriori’s should costing solution will not replace the need for the desired touchpoints with management, but will drive for more productive and impactful discussions and subsequent actions. With automated feedback regarding cost and feasibility, as well as automated reports, managers are able to focus on data points and help their employees use this information to make informed decisions. Transparency and data also removes the subjective feedback often provided by managers and provides objective evidence when measuring success. Real time feedback and cost transparency promotes engagement in the workplace by providing employees with actionable information, removing the mystery surrounding how targets were created, and removing surprises on how they are being measured for success. aPriori assists in maximizing the efficiency of the workforce and providing real-time cost feedback that can be tied directly to company targets and initiatives, allowing millennials to see the impact they are having on the organization. For more information on should costing as a solution, download our white paper, Reducing Current Product Costs, by clicking the button below.